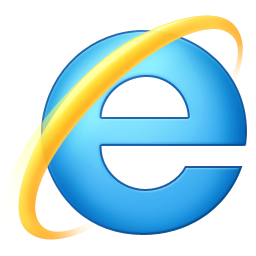 Microsoft in its press release today said that latest Microsoft Web Browser Internet Explorer 9 has been downloaded more than 20 million times as compare to IE6, although at this stage it's unclear whether or not this figure is unique downloads or includes multiple downloads by the same person. "We launched IE9 in 2010, and the response to the IE9 Beta launch on September 15th has been overwhelming," Capriotti wrote. "Combined with the near half-percent of users of newly introduced IE9 Beta, the modern Internet Explorer browsers now account for 34.07% of users worldwide according to Net Applications." In news which will certainly brighten the day for those campaigning for all users to be migrated from Internet Explorer 6 to a newer edition of Internet Explorer, Capriotti has confirmed just 13.81% of all internet users worldwide now use the outdated version, which first shipped in 2001. New features in Internet Explorer 9 include performance enhancements, an all-new lightweight design featuring a new downloads manager and tab page, and amongst other things basic CSS3 support and better security features.